It's just about the end of the road for episodic gaming studio Telltale Games: the outfit is laying off 225 of its 250 staff, and looks to be canceling most of the titles it had in the pipeline. The remaining staff are working on the Minecraft: Story Mode series for Netflix, according to reports. "Today Telltale Games made the difficult decision to begin a majority studio closure following a year marked by insurmountable challenges," Telltale said in a statement. "Telltale will issue further comments regarding its product portfolio in the coming weeks." While it hasn't been confirmed by Telltale, reports from US Gamer cite sources saying that everything on the studio's schedule except for Minecraft: Story mode will no longer be seeing the light of day. That includes the Stranger Things series of games that was announced back in June. "It's been an incredibly difficult year for Telltale as we worked to set the company on a new course," said CEO Pete Hawley. "Unfortunately, we ran out of time trying to get there. We released some of our best content this year and received a tremendous amount of positive feedback, but ultimately, that did not translate to sales." The games that Telltale has put out have indeed attracted plenty of praise and plenty of fans for their narrative and visual quality, but it would appear there just weren't enough people playing these choose-your-own-adventure-style titles. 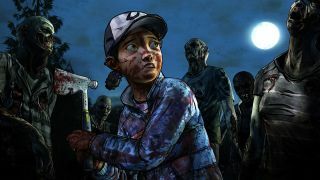 Gamers who have been playing through the final season of the The Walking Dead are likely to be left in limbo, with no confirmation yet that the second episode due to launch next week will make it out, let alone the third and fourth episodes slated for later this year. The Wolf Among Us 2 is another title that has apparently been canceled.